Home » #E! » #KUWTK #KylieJenner and #Tyga….Is the Magic Gone Now That They Aren’t Breaking The Law? #KUWTK #KylieJenner and #Tyga….Is the Magic Gone Now That They Aren’t Breaking The Law? 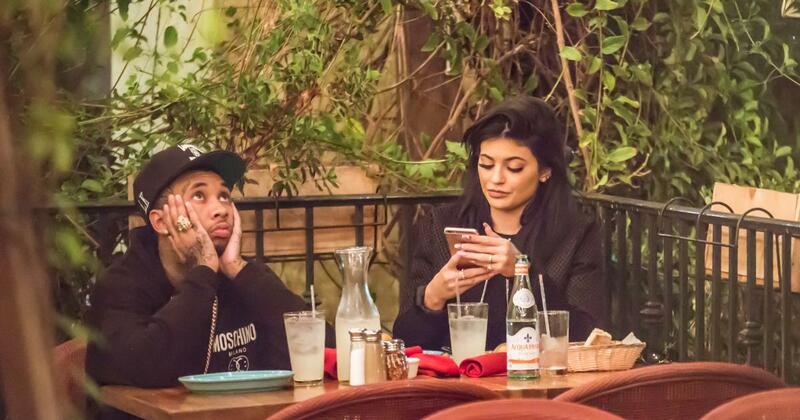 Tyga aka Micheal Ray Stevenson aka “The 26 yr-old who dated Kylie Jenner when she was 16” dude isn’t feeling the love. The youngest of the Jenner-Kardashian clan seems to be growing tired of her older boyfriend. Unfortunately for Tyga his master plan to become the next Kanye West by using the fame dating a #KUWTK star can bring imploded. His career, credibility, and brand have been irrevocably harmed since flaunting the then underage Jenner around LA. 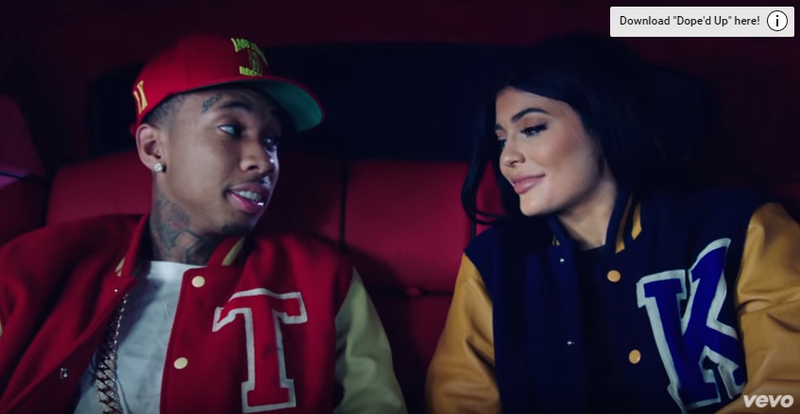 It was widely reported last week that Tyga and Kylie had broken up. The 18 yr-old Jenner was nowhere to be seen as Tyga partied the night away with members of his Entourage to celebrate his 26th birthday. 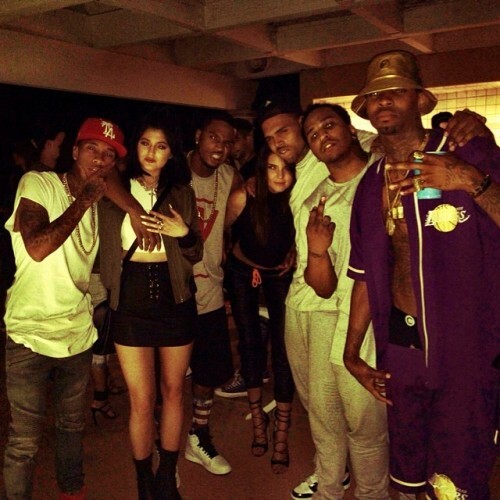 Kylie was seen the next night leaving a club with Justin Beiber and A$AP Rocky. Let’s hope Rocky is smarter than Tyga and gives Kylie a wide berth. She’s is “trade-up” mode. With the excitement gone from her relationship with Tyga, Kylie is looking to “better-deal” him soon. Kim was able to land Kanye West, so in Kylie’s small mind she has to get a rapper that will be on Kanye’s level soon. That isn’t Tyga. His music is just awful. His last 2 videos included Kylie to generate interest, but those fans don’t download his music. E! News reported this item about the couple and their living situation. In this case you have to give credibility to the news source, they have direct contact with Kylie Jenner and the entire Kardashian machine. The 18-year-old Keeping Up With the Kardashians star and her 26-year-old rapper beau had recently taken a short break from each other. They later stepped out together after the 2015 American Music awards and Kylie said on The Ellen DeGeneres Show that they’re not broken up. Tyga joined her family for Thanksgiving on Thursday. A source told E! News on Friday that he recently moved out of Kylie’s house. The teenager owns a $2.7 mansion in Calabasas, California, near the homes of mom Kris Jenner, 60, and sisters Khloe Kardashian, 31, Kim Kardashian, 35, and Kourtney Kardashian, 36. This past summer, Tyga was staying at a $6.7 home, also in Calabasas. It is unclear where he is currently living. Now you wanna know what’s gotten into me, what’s changed? Now you want to know what’s gotten into me, what’s changed? The writing is on the wall for this couple. Kylie Jenner is beginning to see what real-life would look like for her and the broke rapper. Let’s hope A$AP Rocky steers clear of this teen career breaker. Nobody in the music industry wants to keep up with a Kardashian anymore. 1 Comment on #KUWTK #KylieJenner and #Tyga….Is the Magic Gone Now That They Aren’t Breaking The Law?